And I think it was Bob Segar, & Co. Seriously?? Like Lemons made any money off that song...in their Wrap Up video.??!! Uh oh. They're probably going to come after that bootleg Maxell cassette tape I made of that song from the radio when I was 11. Bob Seager - initials "B.S.". Coincidence? You know it's the publisher not the artist that both Owns the rights and does the take down stuff right? And sadly this falls perfectly into Parody, but YouTube are dicks. They (Youtube) did the same thing to a video some of my students put up years ago when the "owner" claimed a violation. It's all done with recognition software now. I just had to dispute it and clarify it was fair use under education purposes. They turned it back on after that. I imagine HQ could do the same and claim fair use: parody, but it is a better story if they just make a cover version of it. Yea, this is all just recognition algorithms, and they aren't perfect or consistent. In NJ during a red flag my driver turned on the radio to entertain themselves while our live stream was going out through youtube. 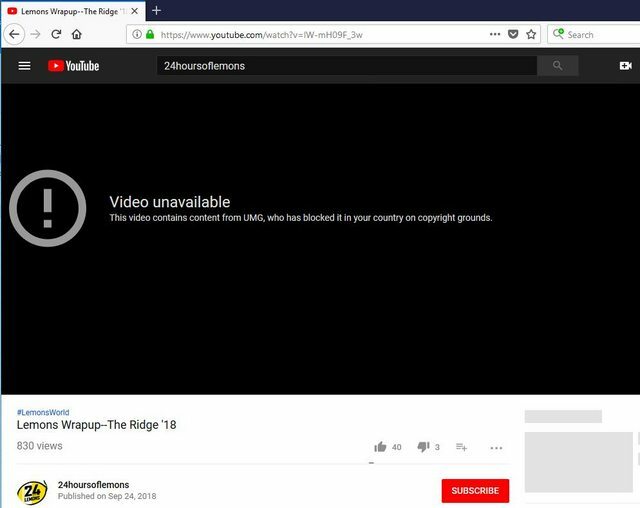 The algorithm picked up on the song (Major tom) and shut down the stream. But at CT during some horrible yellows I had the inspector gadget car behind me blasting pop music (which was clearly heard on the live stream), and nothing happened. They're turning it into something funny, could have even been on purpose. I was wondering, too, if it could have picked up on the Adam Sandler "P.O.S. Car" song.